WHO BURNED WHOM? : Kenny Nakazawa, pictured at the left, was vindicated in a SLO County court after being accused of assaulting Kevin Majors during a surfing fight in Los Osos. A surfer accused of jabbing his board into the face of another was cleared of a felony charge after Judge Michael Duffy decided there wasn’t enough evidence to go to trial. 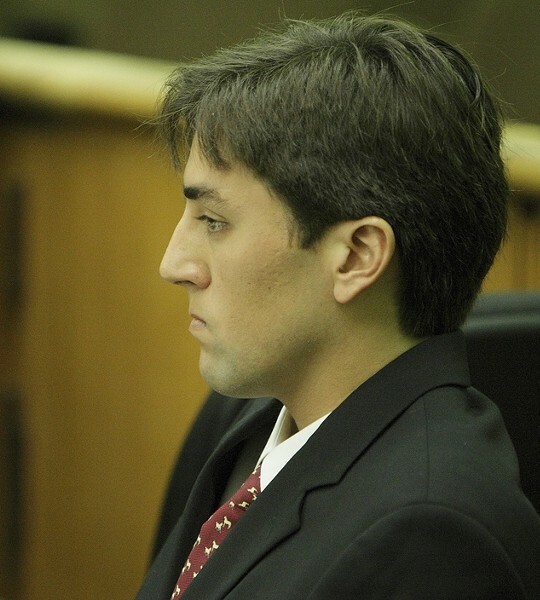 Kenny Nakazawa, a tanned 24-year-old, clenched his jaw while he sat stone faced and silent during his Jan. 19 hearing. Four witnesses gave their accounts of what happened on Aug. 29, 2009. There’s no telling who threw the first punch, but a scuffle that erupted between Nakazawa and 36-year-old Kevin Majors at a popular surfing spot in Los Osos ended when Nakazawa’s board slammed into Majors’ face, splitting a gash on his nose that required 24 stitches, Majors testified. Whether Nakazawa intended to hit Majors with the end of his board was left unanswered, but Duffy said based on the testimony presented there was no way to prove it wasn’t accidental or more likely, an act of self-defense. “More damage was done than I’m sure anyone had anticipated,” Duffy said after his decision. 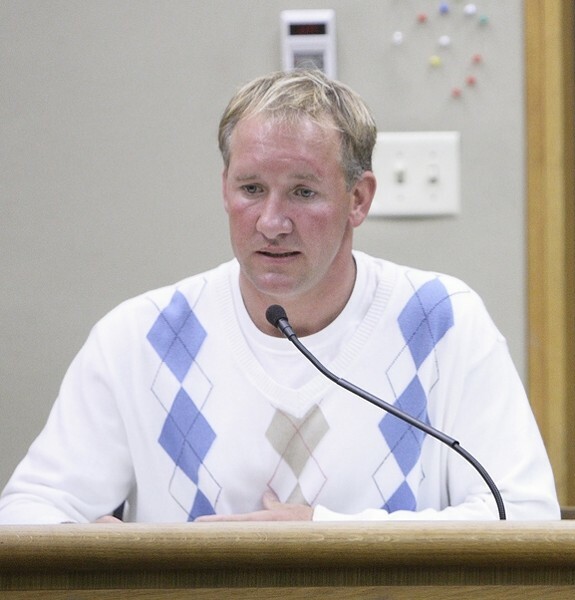 Majors, dressed in a preppy white patterned sweatshirt, glared from the witness stand at Nakazawa while he gave his account of the incident. According to his testimony and that of three other surfers who witnessed the fight, Majors and his childhood friend Sean Kennedy ventured away from their usual Pismo Beach and Shell Beach spots to surf in Los Osos. Before they went out, knowing they would be intruding on a popular local surf spot, Kennedy testified he told Majors to “take it easy.” In other words don’t get in the way of locals. According to Majors and Kennedy, Majors felt like an unwanted outsider, but he was still catching waves—maybe more than the locals. Three times in a row he got “burned,” or cut off, by other surfers, the last of which was Nakazawa. According to their testimony, Majors confronted Nakazawa who then shoved his board into Majors’ face. “And they started swinging after that,” Kennedy testified. Majors paddled back to shore with blood pouring from his face. Oddly, Nakazawa followed him in not only to apologize but also he offered to pay for Majors’ hospital bill and helped him carry his surfboard about a quarter mile back to his car. Other accounts provided by 47-year-old surfing teacher Van Curaza and 42-year-old Paul Texeira, painted Majors as an aggressive surfer who was stealing waves and cutting in front of locals. He yelled at and threw blows at Nakazawa after being cut off himself, Curaza and Texeira testified. Curaza, a calm, deliberative surfing teacher from Pismo, explained he knew both men well. He said there are often incidents over prized spots, but he was clearly ashamed and surprised this one escalated to violence. Still, he testified, Majors started the fight and was upsetting several other surfers that day. “It’s kind of, well, it’d be like taking your grandpa’s seat,” he said of Majors’ behavior. Curaza and Texeira testified that Nakazawa didn’t appear to want to hurt Majors. Instead he was either trying to use the board to push his attacker away, or fell off the board after being attacked and accidentally hit Majors. Neither Majors nor Nakazawa agreed to speak with New Times outside the courtroom.